iCraneTrax is a web-based business management application designed exclusively for the heavy construction and lifting industries. Install GPS and Telematics Units on assets. They will automatically report back to iCraneTrax. 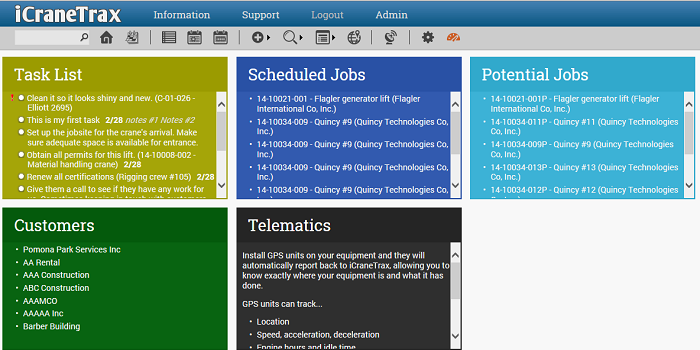 Create and track fleet maintenance. Maintain equipment more intelligently by knowing exactly where it is and what it has done. Monitor equipment from anywhere you are - including on a smartphone. Create fleet maintenance jobs and print Work Orders. Upload documentation and create a task list for maintenance jobs. 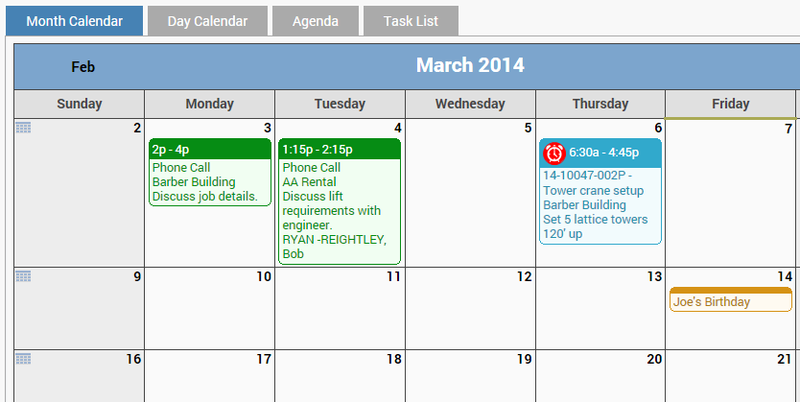 View scheduling conflicts and bare rentals that need to be picked up. Upload documents you want to keep filed with the job, like PO’s, safety regulations for the job, etc. Show type of job – Potential, Sub-Jobs, Maintenance etc. Upload documentation to employees, equipment and customers like CCO certificates, drug tests, CDL information, customer safety requirements and inspections. Select an employee, customer or piece of equipment and see all the details including all the jobs that each one is associated with. Set rates for equipment and employees. The rates will be used to create quotes and invoices. 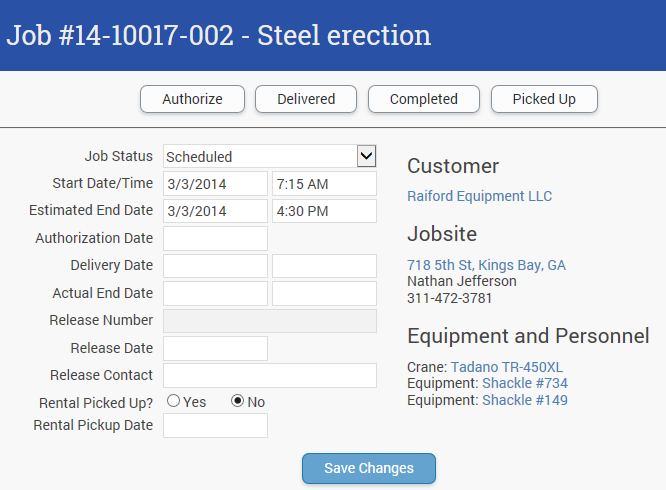 Select multiple classifications so you can dispatch them to the correct position on the job. Track customers by salesperson, territory and customers that have not been assigned a salesperson yet. Run reports on type of customers and the industry they are in. 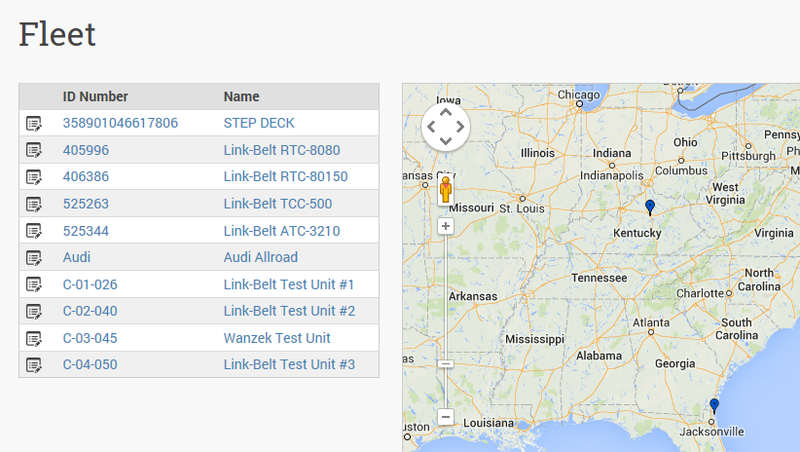 Check customers in a territory, state or region. Run a report on salespeople. See who they have been calling on and when. Track their sales progress from start to finish. Track customers by salesperson, territory and customers that have not been assigned a salesperson yet. User-friendly, step-by-step design makes our online dispatch easy enough for a novice to use. Easily move back and for through the application to view and make changes. Since it runs on our web servers you will always have the latest updates, saving your company money with reduced IT expense and support. Runs online in web browsers, accessible from any location including smartphones, iPad’s, and Droid Tablets. iCraneTrax is always up to date. Since it is online, there is no needt to wait days or weeks for a new installation. With iCraneTrax, data is safe and secure - stored and backed up on our virtualized servers. Multiple Branch Support– Set up multiple branches and track sales by branch or by region, manage customers and contacts, create quotes, dispatch or view equipment from each branch, and track what each branch is doing. With Permissions you can set what users are able to see and edit. The Preferences page lets you customize how each users’ dashboard looks. 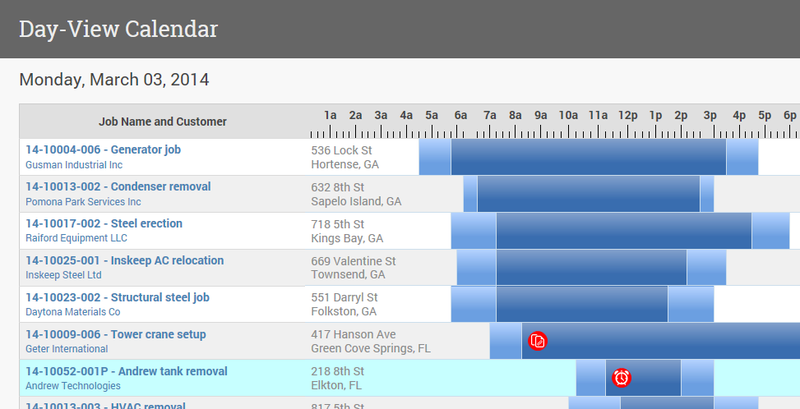 Customize employee classifications, pre-defined quote rates, and column order in the list view. Customize dispatch tickets, service agreements, terms and conditions and more. Click on the Map link and automatically pull up directions in Google Earth. 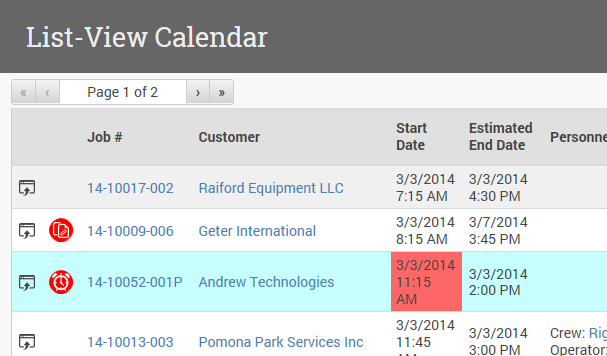 Quickly add/edit jobs, assign equipment and employees, print dispatch tickets and directions. Pricing based on 0.5MB of data transfer per month. Pricing based on 3MB of data transfer per month.